Your boots will make or break your hiking trip - they're the difference between blisters and bliss, between enduring a hike and enjoying it. Buying the right hiking boot is a matchmaking process dependent on the terrain, the weather, and - most importantly - your foot. Our dedicated gearheads have racked their brains to bring you everything you need to know before you buy. 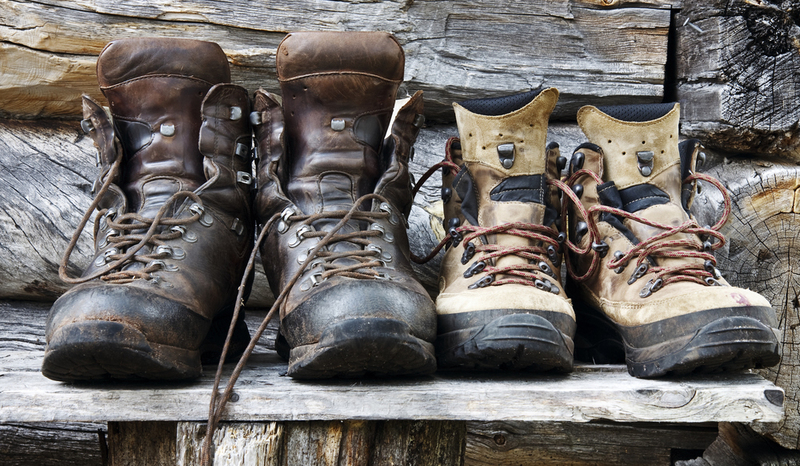 There are four components of a hiking boot: the uppers, the outsoles, the midsoles and the insoles. 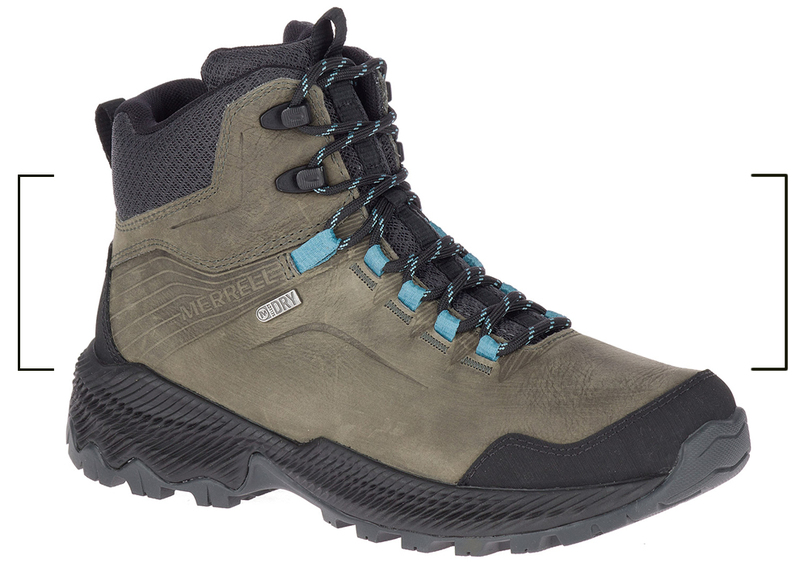 Hiking boot uppers protect and support the foot with an all-round snug fit. 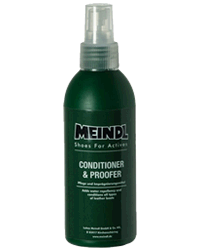 They should be repellant/ waterproof, but also avoid the build-up of moisture around your feet - a key cause of blisters. No material can do everything, so the weight, durability, support, breathability and water resistance of your uppers will depend on your preferences and priorities. In short: leather has historically been seen as more durable and supportive but harder to break-in, while synthetic boots were lighter and easy to break-in, but not as durable and supportive. Full grain leather has traditionally been the first choice of hikers. It is durable, water resistant and provides the stability around the foot that is essential for extended trips - especially when burdened with heavy loads and irregular terrain. However, it is heavy, takes time to break-in, and can be expensive. Split-grain leather is made by combining the rougher inner part of the cow hide with a synthetic material such as nylon. 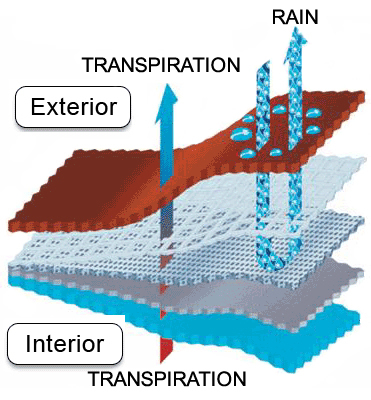 This creates a lightweight, flexible and breathable material at a lower cost than full-grain leather, but it is less durable and water resistant. Nubuck leather has been sanded to create a suede-like surface. It's not as tough as full grain leather, but is more flexible and remains durable, water resistant and breathable. It may require more treatment than full grain leather or synthetics as it is more susceptible to staining. Made from synthetic materials such as polyester and nylon, synthetics are lighter than leather and quicker to break-in, but do not have natural waterproofing - so the waterproof membrane used in the boots is important. Waterproof membranes: Waterproof boots will feature uppers constructed with waterproof membranes such as Gore-Tex® or eVent®. These remain breathable, but not to the same extent as most non-waterproof shoes. All outsoles are constructed from rubber, but it is mixed with other components to give different degrees of 'stickiness' (more grip but less durable) or 'hardness' (less grip but more durable). 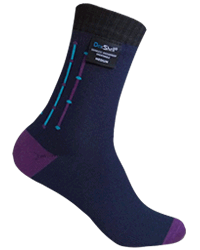 All outsoles will have traction bumps - called lugs - constructed out of high-friction rubber to provide more grip. The deeper and thicker the lugs, the more traction you'll have. The midsole sits between the outsole and insole, and its function is to provide the correct amount of flex. Stiffening the boot protects the foot from the uneven and uncomfortable pressure placed on the foot from irregular surfaces. However, more flex allows the foot to behave more naturally. 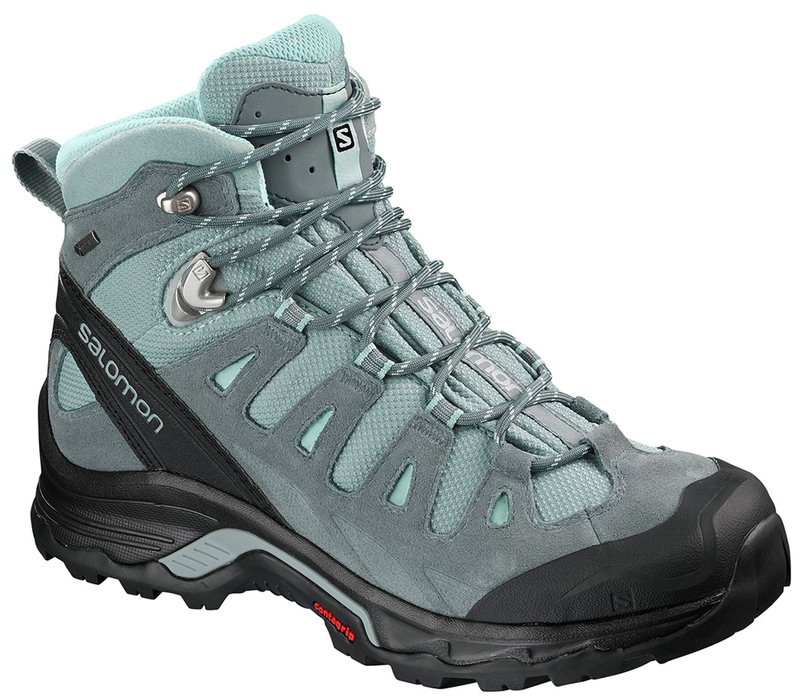 Polyurethane is stiffer and more durable, so is more often found multi-day hiking boots and for use on irregular terrain. These can be complemented by shanks and plates, which fit in between the midsole and the outsole to provide further stiffening from uneven surfaces. Shanks can be full length, three quarter length, or half-length - the longer the shank, the stiffer the boot. Plates are semiflexible inserts that fit below the shank to further protect the foot from uneven ground. Insoles provide a cushioned bed so the foot does not sit straight on the hard outsole. They are designed to maximize comfort and support, and can be interchanged to complement the shape of your foot. 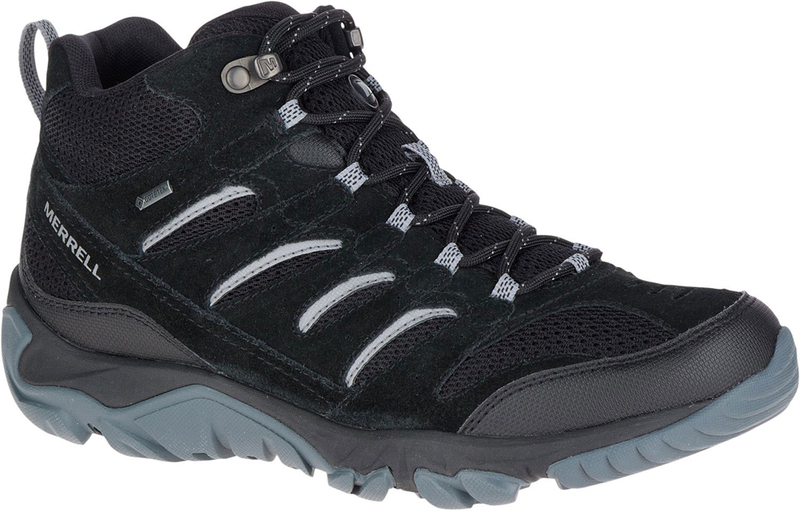 Hiking shoes: low-cut shoes with flexible midsoles are great for day hiking on well-trodden paths. They allow for the foot to move freely and often prioritise breathability so are suitable for warm weather and high excursion activities. Day hiking boots: mid- to high-cuts boots that are usually sturdy and watertight but also remain flexible and require little breaking-in. 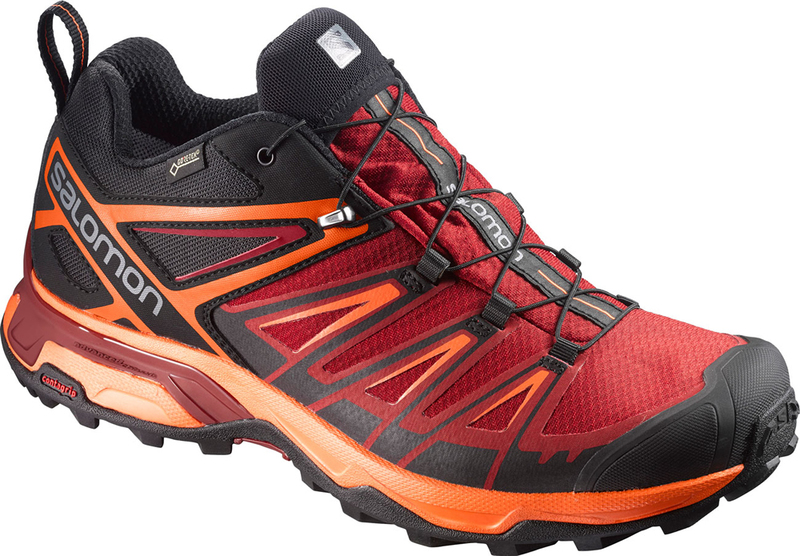 These are appropriate for steeper inclines, muddy paths or short backpacking trips. 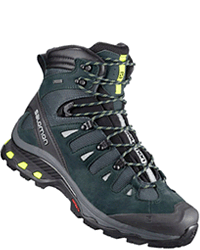 Backpacking boots: high-cut boots with stiff midsoles that are durable and waterproof. 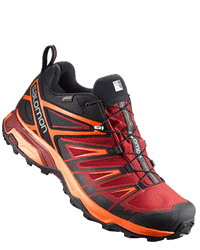 These are necessary for multiday hiking across irregular terrains with heavier loads. The finger test - put the boot unlaced and try to slide your finger behind the foot. Your finger should fit in without your toes touching the front. Tie your laces and take a walk around inside - your toes should never touch the front of the boot and your heel shouldn't slide. Be sure to test this across different inclines! Finding your 'golden slipper' will always be difficult with so many options to choose from - especially considering that it can be a hefty investment. We hope that reading this guide has helped to arm you with a little more knowledge so you feel confident that you're making the right decision in your purchase. Good luck!